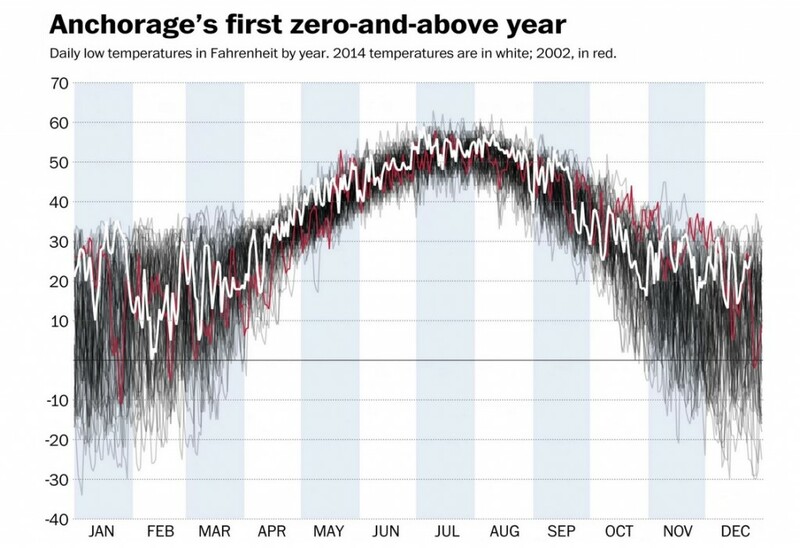 The Washington Post noted in a blog posting this week that this is the first year ever that Anchorage, Alaska, never went below zero. Record lows for this time of year are around -20 to -25 F, so this is a significant departure from what you might expect in the coldest years. The blog noted that the number of days below zero has been decreasing since the 1960’s, when global and US temperatures were much colder than present conditions. 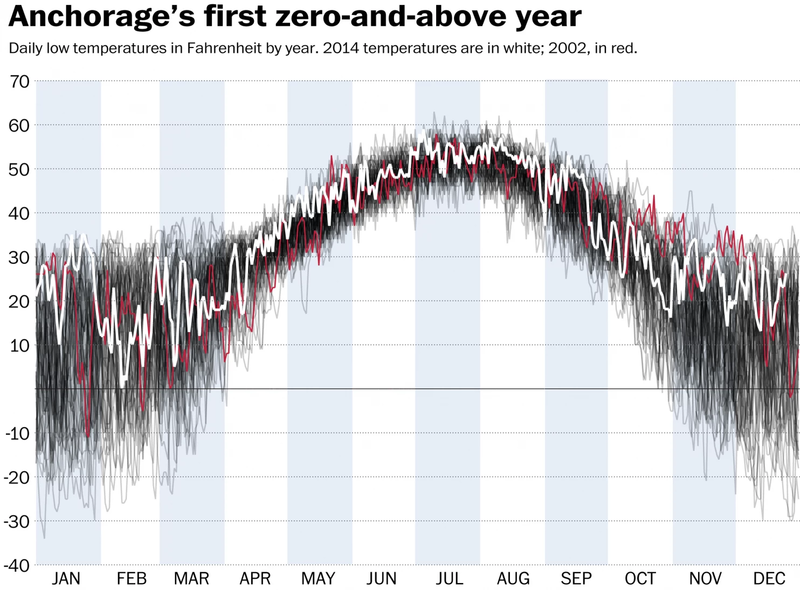 The graph below shows this year’s temperatures in white superimposed on the black year-to-year individual lines. The departures from cold conditions are particularly noticeable in the winter months.